As a result, protein-rich dairy-based ingredients are used by beverage developers to formulate unique nutritional and functional beverages. This has increased the demand for milk-protein-based dairy ingredients such as whey protein concentrate (WPC), whey protein isolate (WPI), whey protein hydrolysate (WPH), milk protein concentrates (MPC), milk protein isolates (MPI), and micellar casein concentrate (MCC). Some examples of commercially available milk-based beverage products fortified with additional dairy-based ingredients include fortified flavored milks products, meal replacement beverages, yogurt-based smoothies and protein-fortified post-exercise sports drinks. In many of these beverages, the dairy protein ingredients are used to provide nutrition, energy, relaxation and satiety. 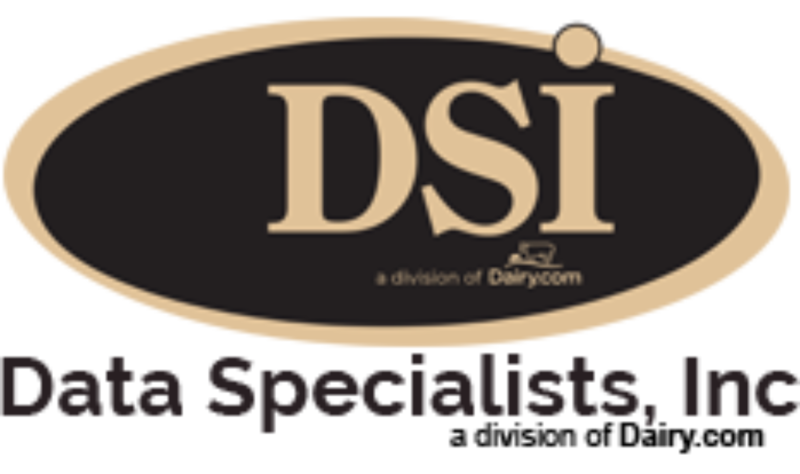 Dairy proteins are also used by product developers to provide desirable mouth feel or viscosity. However, formulating stable, dairy-based long shelf-life products can be challenging and requires knowledge of formulation, processing and ingredient interactions. Choosing the right dairy-based ingredient is absolutely vital. It’s very important to understand the functionality of each ingredient used in the formulation as well as how these ingredients will interact during processing. For example, whey proteins are stable over a wide range of pH and thus can be used both in acidic and neutral pH formulations. Casein-based ingredients cannot be used in acidic beverages because casein will precipitate and phase separate at acidic pH (particularly around pH 4.5-5.5). What is the pH of the beverage? What are the other ingredients in the formulation and how will they interact with dairy-based ingredients? What are the processing conditions and how will they impact the functionality and stability of the dairy-based ingredients? What packaging will be used and what is the desired shelf life? Severe heat treatments such as UHT (ultra-high temperature) or retort are generally employed during manufacturing of beverages for the purpose of food safety and for achieving extended shelf-life. Therefore, dairy ingredients intended for use in these beverages must be very heat stable. Heat stability of proteins refers to their ability to survive heat processing without detrimental changes in the product, such as excessive turbidity, increased viscosity, phase separation, precipitation or gelation. There are a variety of methods for measuring heat stability prior to actual processing and it is important to select a method that simulates the heat treatment that will be applied to your formulation. In the beverage industry, either UHT treatment followed by aseptic packaging or in-container retort processing are typically used for neutral pH products, whereas a high pasteurization temperature around 85C to 90C (185F to 194F) followed by hot filling is mainly used for acidified, low pH beverages. Dairy-based ingredients that primarily contain casein such as MPC and MCC are considered ideal ingredients for neutral pH protein-fortified beverages because of their excellent heat stability at neutral pH. MCC is a relatively new dairy protein ingredient that contains a higher ratio of casein as compared to MPC. However, both of these ingredients are a rich source of essential amino acids and are a good source of slowly digestible protein that has a satiety effect. Relative to MCC and MPC, whey proteins are more heat-labile during prolonged exposure to high temperatures which can cause them to denature, aggregate and form flocks or gels. On the other hand, whey proteins have good solubility and the ability to remain in solution over a wide range of pH. Therefore, they are widely used to fortify acidic beverages with a pH range of 2.8 to 3.5. Another consideration in using dairy-based, high-protein ingredients in a beverage formulation is proper hydration of dried ingredients. It is generally recommended to give at least 30 to 60 minutes of hydration time at ambient temperature. However, shorter hydration times can be used at higher temperature. For example, the hydration and solubility of MPC can be improved by application of shear and reconstituting at 120F (about 48.9C). It is also possible to use liquid MPC (also called ultra-filtered skim milk) to avoid hydration issues with dried ingredients. Milk protein needs to be stabilized in beverage formulations in order to prevent sedimentation during storage. Choosing the right stabilizers is very important and stabilizers may be sensitive to pH and temperature. If the right stabilizer is not selected, it can destabilize the protein and adversely affect the shelf-life of the product instead of improving it. Carageenan works very well at neutral pH and is good for suspending cocoa solids in chocolate-flavored beverages. Guar gum, xanthan gum and CMC are also routinely used in neutral pH beverages, whereas high-methoxy pectin is often used for whey protein based beverages at low pH. The use of stabilizers in beverage formulation also helps to improve the mouth feel (texture) and viscosity. Additionally, stabilizing salts like sodium and potassium phosphate/polyphosphate are used to prevent age-related gelation of neutral pH beverages. Mineral ions such as calcium, potassium and sodium will impact the stability and clarity of acidified whey beverages. Having the right mineral balance is essential to ensure stability. Consequently, the type and level of mineral supplement used is critical. Color, sweetness and flavor are also important factors that need to be considered and numerous options are available for sweeteners (artificial/natural or low caloric/high caloric), colors (natural or artificial) and complementary flavor or flavor modifiers. The use of dairy-based ingredients to increase the protein content of beverages is an opportunity for beverage makers to meet consumer demand for additional protein. The key requirements when formulating with dairy-based ingredients is selection of the right ingredients in combination with the desired processing condition and stabilizers.